Genie® HD DVR Upgrade Included. *$35 ACTIVATION, EARLY TERMINATION FEE OF $20/MO. FOR EACH MONTH REMAINING ON AGMT., EQUIPMENT NON-RETURN & ADD’L FEES APPLY. Price incl. Premier Pkg. [, monthly service and equip. fees for 1 HD DVR] & is after $5/mo. autopay discount for 12 mo. Pay $110/mo. + taxes until credit starts w/in 3 bills. New approved residential customers only (equipment lease req’d). Credit card req’d (except MA & PA). Restr’s apply. Want to have a supreme experience? Enjoy the preferred entertainment and much more with DIRECTV’s top-of-the-line PREMIER™ Package. If you love watching TV, there’s just nothing better than the DIRECTV PREMIER™ Package. The PREMIER™ Package is ideal for people who absolutely love entertainment. Select PREMIER™ and you shall have an all-out entertainment experience to enjoy at home. With hundreds of channels and the biggest movie networks available with just the press of a button, there is always something great to watch with DIRECTV. Craving for sports? Get DIRECTV’s Entertainment Package Today! The ENTERTAINMENT Package provides you access to popular programming across some of the most trusted local and national networks. Stay updated on world news through CNN HD, Fox News Channel HD and MSNBC HD. Gather round for some fun and educational programming with family on TLC HD, National Geographic Channel HD and Discovery HD. With this package, you get the channels that are essential to everyone’s entertainment. Who Should Buy The PREMIER™ Package? The DIRECTV PREMIER™ Package is for the movie lovers. If you’re a movie enthusiast and you always love to watch a new movie or an old favorite, the PREMIER™ Package is designed for you. In addition to this, the PREMIER™ package includes many regional sports channels to your line-up. If you can’t miss out on the big game, get PREMIER™ for the sports action you desire. Together with the great line-up of channels included in PREMIER™, there is sure to be something for everyone in your family to enjoy on a regular basis. It’s a winning option for those with different entertainment tastes, too. Get it all when you select DIRECTV’s Premium package. Pick the DIRECTV PREMIER™ Package and bring home the channel line-up from the ULTIMATE Package and below, plus so much more! Buy PREMIER™ to get yourself a line-up of more than 330+ excellent channels. There’s no other way to go if you love watching TV. Moreover, the PREMIER™ Package comes with channels such as HBO®, SHOWTIME®, STARZ® and Cinemax® included. Tune in to the biggest movies as well as hugely popular original series from these premium networks. In addition to this, you’ll get various themed channels such as Cinemax: ThrillerMAX, Cinemax: 5StarMAX, HBO Comedy, HBO Family, SHOWTIME 2, SHOWTIME Extreme, STARZ Comedy, And STARZ Edge and more. Conveniently search for a movie to watch based on what you’re in the mood for with these themed channels. Wanna watch sports? The PREMIER™ Package also comes with a collection of regional sports networks to get your fill of more sports action. Comcast SportsNet New England, FSN Detroit, ROOT SPORTS (Rocky Mountain), SportsSouth and more are available at households around the country. 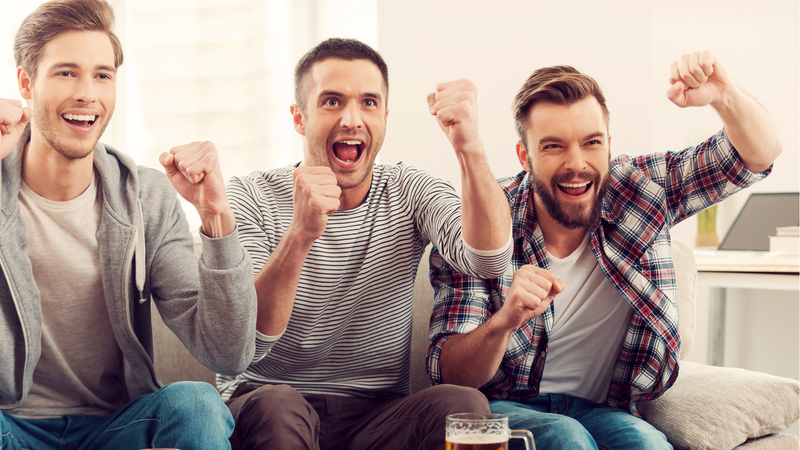 Enjoy your favorite sports with DIRECTV’s action packed sports packages and get the NFL SUNDAY Ticket to watch every live out-of-market game, every Sunday! And don’t forget the FLIX movie channel, ESPN Classic for vintage games, outdoor sports on Outdoor Channel and more! Searching for a different package? You might not be looking for so many channels – check out the other choices from DIRECTV to see which package will be best for you.